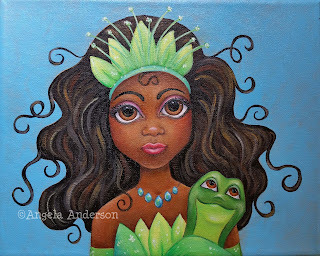 This may be my all time favorite series I have painted so far. These pretty little boho floral black and white vase paintings were SO FUN!! They covered all kinds of different flowers: Roses, Tulips, Lilies, Sunflowers, Daisies, Lilac and more. I loved teaching them. The colors are vibrant and cheerful. They were just a joy all around. I hope you like them too! 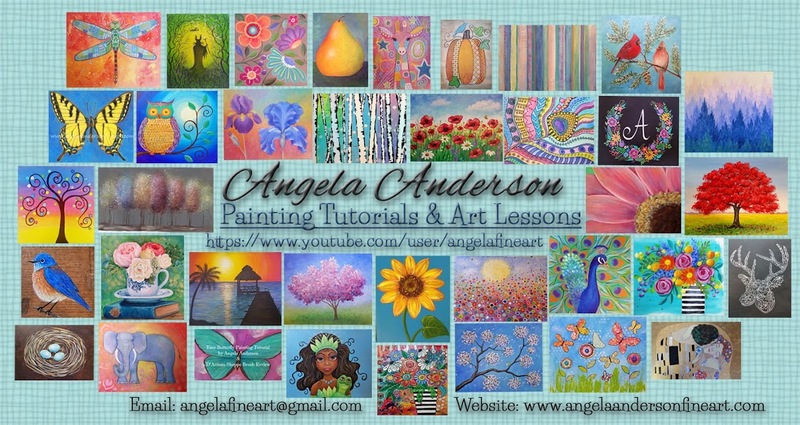 All 3 paintings were taught live on YouTube so they are full length, real time lessons. Black and White is a huge trend in painting right now. So I thought I would do a 2 part video showing how you can make a modern black & white treescape acrylic painting on canvas. This is super easy and fun DIY project for beginners. The materials are a large flat brush (sponge brush is ok), a sea sponge, a plastic credit card and acrylic paints in black, white and your choice of color. Black and White Trees Video (Part 1) shows how to do the black and white trees. Pop of Color Video (Part 2) shows how to add color to one of the trees. I show turquoise, yellow and purple in the video but you can refer to my pink cherry tree or red oak tree videos if you prefer those colors. The steps are the same. Hope you enjoy! And as a bonus I also have a Black and White Paris Eiffel Tower with red trees acrylic painting tutorial. It will be a live stream class on July 23, 2016 at 2pm CST. The recording will be available to watch anytime after that. For all my fellow Trekkies...I did a really fun painting collaboration project in honor of the new Star Trek Beyond movie coming out soon. 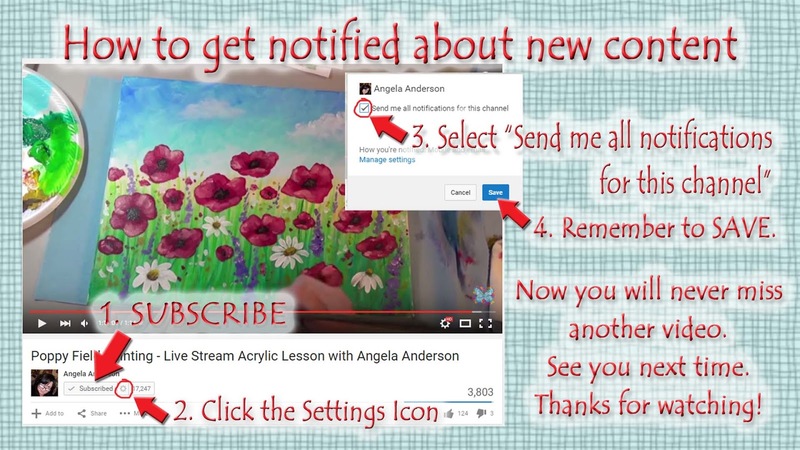 Clive Powell from Clive5Art and I decided to do some fan art acrylic painting tutorials on YouTube. 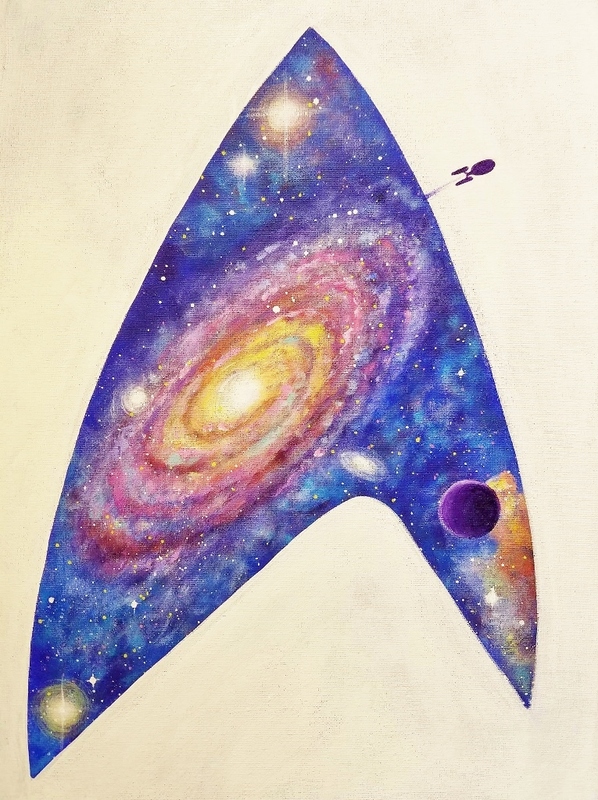 I did a galaxy inside the Star Trek badge and Clive did a Starship Enterprise with planets. Hope you enjoy them! They were a lot of fun! 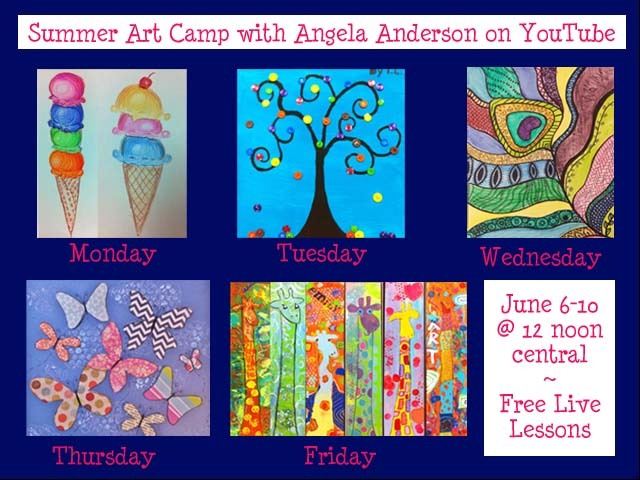 Summer Art Camp Live on YouTube! 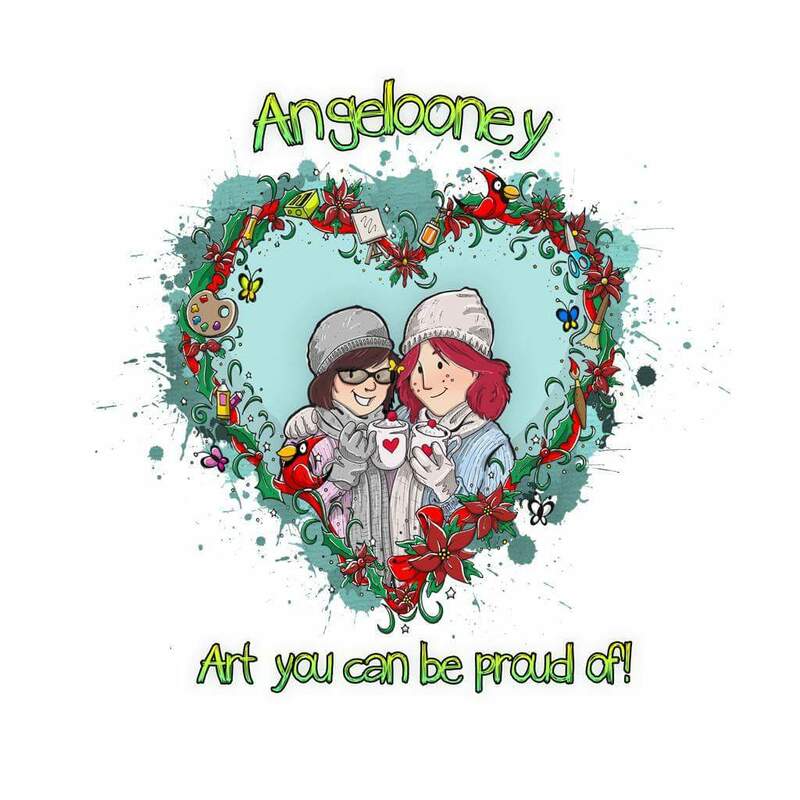 Free Art Lessons! 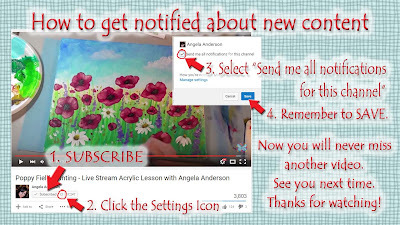 Please join me on my YouTube channel this week for free online art lessons. I will be teaching live on my YouTube channel each day this week, June 6-10th, 2016 at 12 noon Central. We will do a new project each day: Ice Cream Cone Drawings, Button Tree Paintings, Peacock Feather Zentangle Watercolors, Mixed Media Butterflies and Silly Giraffe Paintings. Lessons are recommended for ages 5 and up. Hope you can join me live to watch, chat and ask questions. The shows will be recorded and saved on my YouTube channel if you can't make the live stream. Follow the links view the videos live or watch the recordings after the shows. 2 Watercolor or Mix Media Paper 9"x12"
I have just created a couple of new playlists to help you decide which of my painting lessons is right for you! They are broken down in to two levels: Beginner and Intermediate. Each playlist starts out with my easier projects and progresses to more difficult paintings. Hope you enjoy them! Easy Acrylic Painting Lessons for Beginners and Kids. 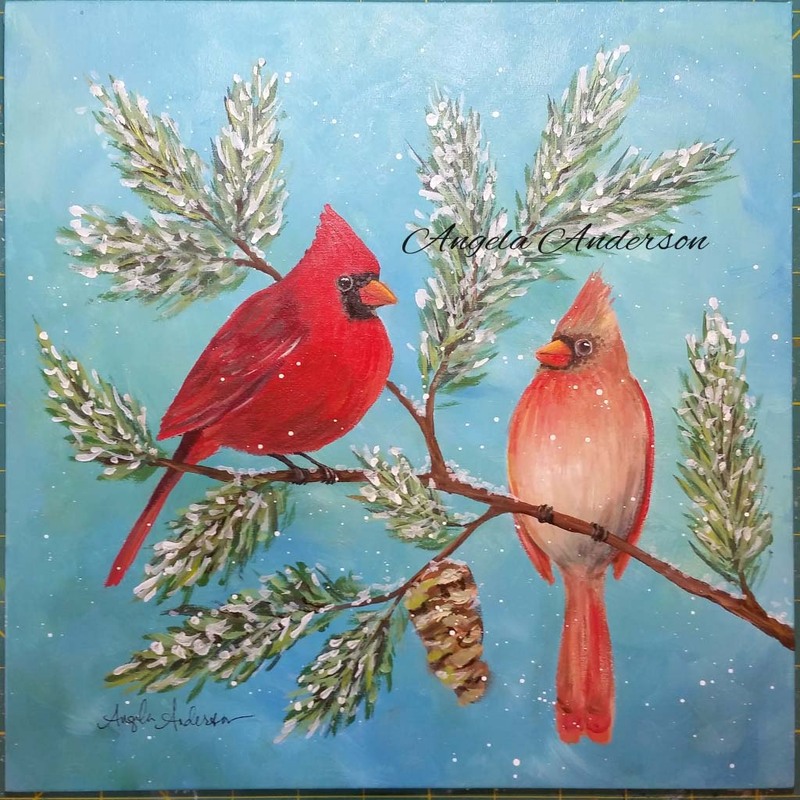 Simple lessons make it fun to learn how to paint. 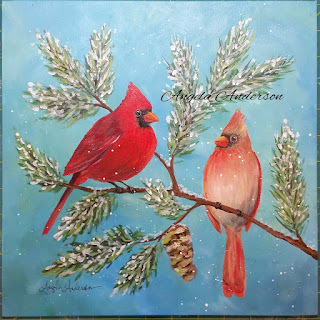 Create your own beautiful artwork even if you have never painted before! 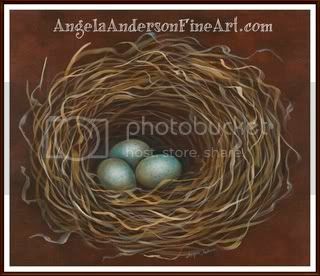 Acrylic Painting Tutorials for the more experienced painter. Learn advanced techniques to give your paintings more depth and detail.